(Newser) – Women in Europe have it best, legally-speaking. 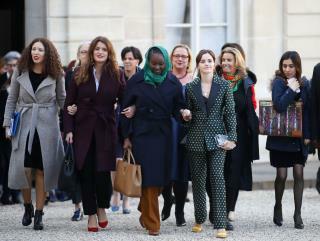 Belgium, Denmark, France, Latvia, Luxembourg, and Sweden are the only countries that offer legal equality for men and women, according to a report by the World Bank. It looked at 35 indicators related to jobs, marriage, personal safety, property ownership, travel, inheritance, and more, reports Quartz, and those six countries scored a perfect 100. Among the questions considered: "Is a married woman not legally required to obey her husband?" "Is there paid [maternity] leave of at least 14 weeks available to women?" With a score of 83.75, the US sits behind Mexico, Colombia, and Zimbabwe. Axios points out the US doesn't number among the first 60 countries on the list of 187 countries. One day, when ALL countries have legal equality, these current days will be looked back on with shame and anger and sadness. Women should keep their pants on if they don't want to have kids. In 66 years I've never had a one. Never been able to see the sense of it. In farmer societies, kids might, maybe be an asset. In urban societies kids are a debit - cost, cost, cost.